Okada rider and passenger clash. 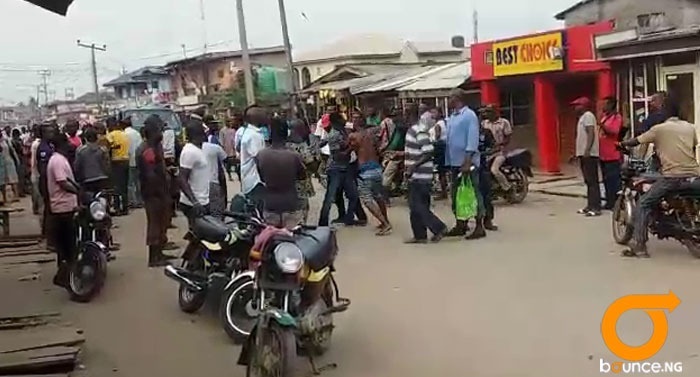 While people rushed to their places of work on Monday, a fight broke out between a Hausa 'okada' rider and his Yoruba passenger. It started as an verbal disagreement, then it became a shouting match before their fists were deployed. The Yoruba passenger boarded the motorcycle from his residence to the bus stop at Irawo in Ajegunle area, along Ikorodu road. On getting to the bus stop, the passenger gave the okada rider an amount in excess of the agreed fare and asked for his change. Perhaps he was running late and cold not tolerate the okada rider's excuse that he did not have any change, and a misunderstanding ensued. The Hausa okada rider then allegedly punched his Yoruba passenger in the face. The matter was later taken to the Ajegunle Police Station.